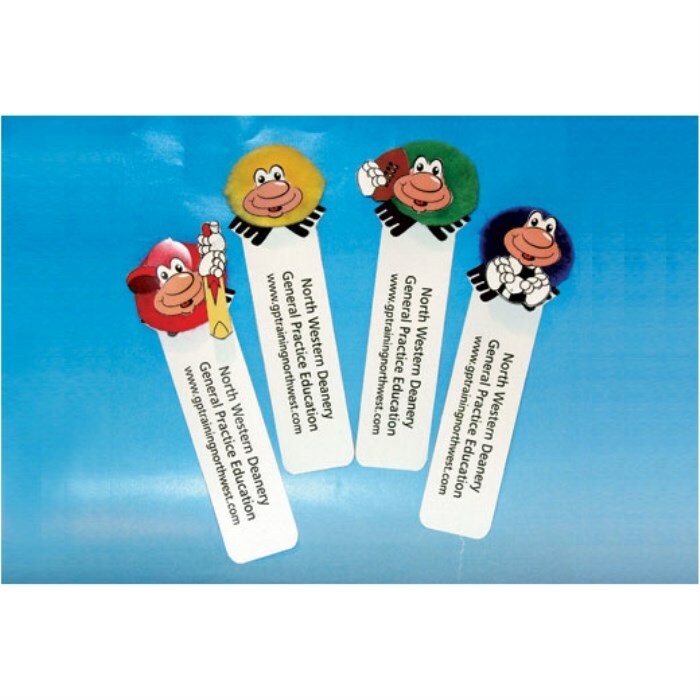 Novelty bookmarks, personalised with your 4 colour design. A cost effective way to get customers to bookmark your logo! We don't recommend this item for children under the age of 5 years. Price includes a full colour print in 1 position. Print area: 35 x 90mm.